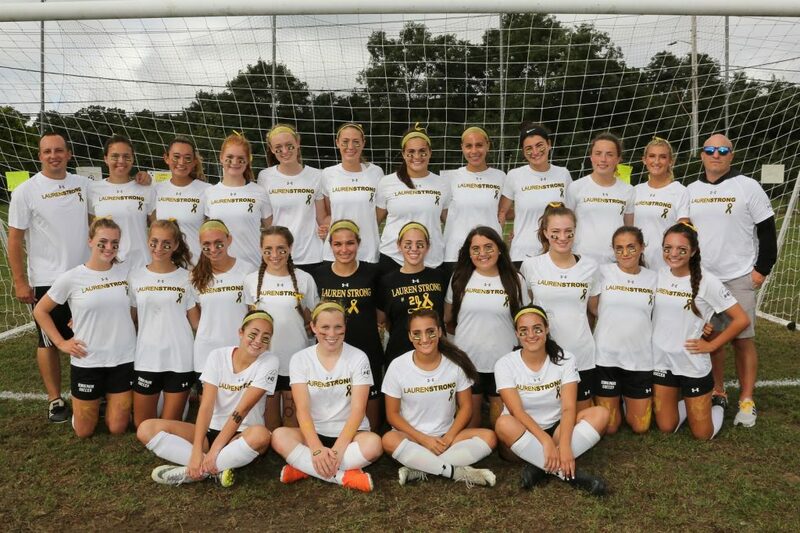 On September 26th the Kings Park Girls Soccer program hosted the 7th Annual LAURENSTRONG fundraiser event. This event is held in memory of Lauren Lenardi, who passed away in 2013 at the age of 16 after being diagnosed with Rhabdomyosarcoma, a rare and aggressive form of cancer in 2010. Lauren’s amazing qualities have been a positive influence on all those around her. Lauren radiated optimism, inner strength and courage. LAURENSTRONG is a day that we celebrate Gratitude and Kindness . 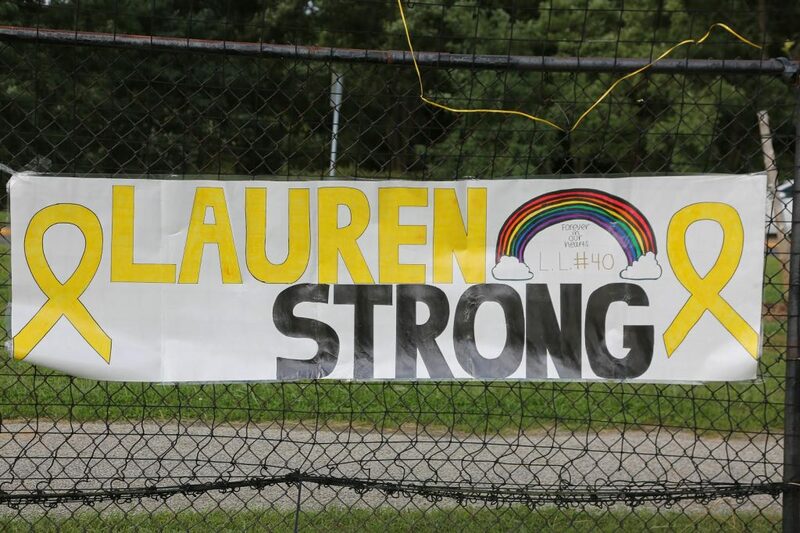 The LAURENSTRONG event consists of a home Varsity Girls Soccer game while the Junior Varsity Soccer players organize the event, set it up and run concession, raffles and activities such as a fastest soccer shot, juggling contest and dribble obstacle course. LAURENSTRONG has grown to become a true community event, to help keep alive the memory of #40 Lauren Lenardi and all the ideals should stood for. The entire school district is encouraged to wear yellow on LAURENSTRONG DAY. Proceeds from LAURENSTRONG support Kicks for Cancer, SloanKettering, Lauren Lenardi Scholarship and this year to a Kings Park 6th grader battling the same cancer Lauren had Rhabdomyosarcoma.